Furniture Painting - Get Creative! 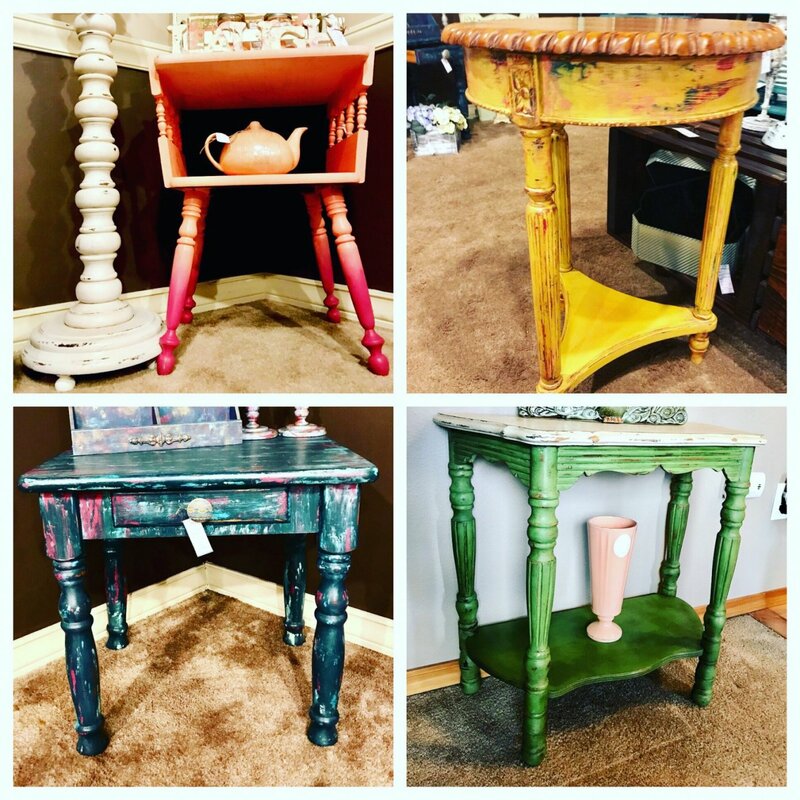 Come learn how to turn an old worn piece of furniture into a work of Art! You will select your furniture piece from a selection of accent tables, benches or stools (included in the price of the class). You can select your furniture piece from the link below and if you would rather bring your own piece that is fine too (24"x 24" or smaller). You'll start with one basic color and blend in 1-2 more colors to achieve a beautiful blended look. You will also learn how to use wax to seal in your paint. Best part..... You get to take you furniture piece home the same day! You are responsible for getting your piece home and all pieces from the link below will fit in a SUV or large car. Teacher, Katie Jensen has been a maker, creator, and DIYer her entire life and has a passion for turning something old or plain into a beautiful new creation!